First, it is well understood that temperature in the range of about 50 to 65 degrees is most suitable for the proper protection and aging of wine (nominally 55°is ideal). 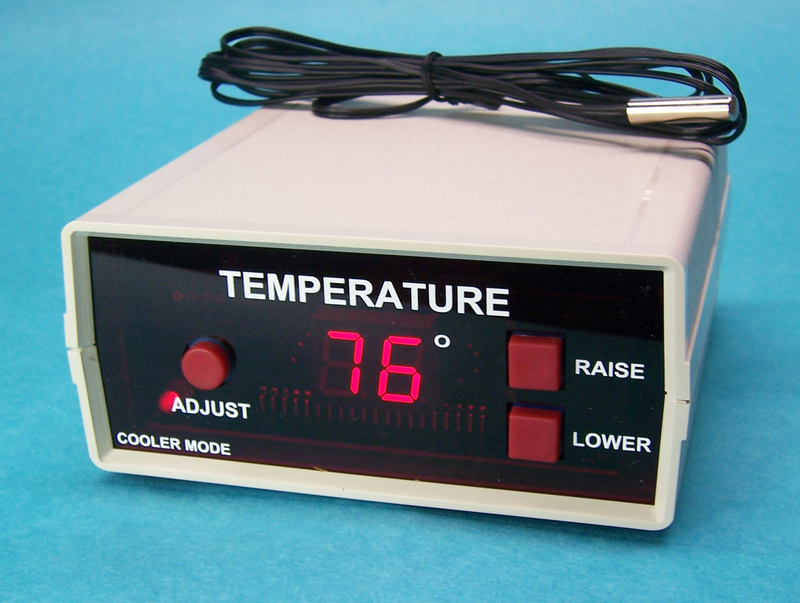 The warmest possible setting of the typical refrigerator thermostat is about 40 to 43 degrees. 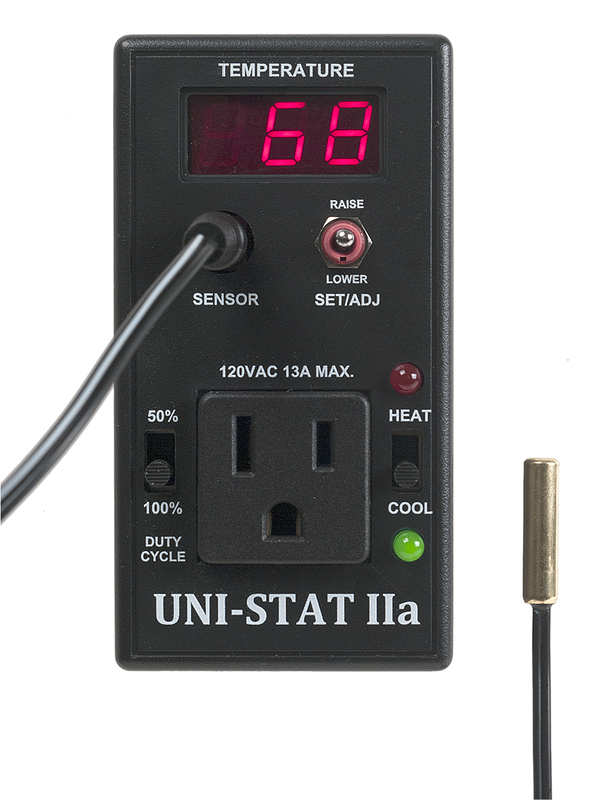 The addition of the WINE-STAT II provides a range of adjustable temperature from 49 to 65 degrees (factory pre-set to 55°, but easily adjusted by the user). Second, wine needs a constant, steady temperature environment. 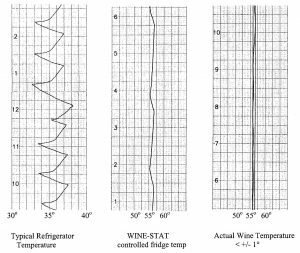 The type of thermostat in a typical refrigerator allows for a large temperature excursion on a frequent basis, which wine does not like. The accompanying strip chart recordings illustrate a typical refrigerator internal temperature environment in a hot garage, which is seen to vary as much as 5-6°, in as short a time as 20 minutes. 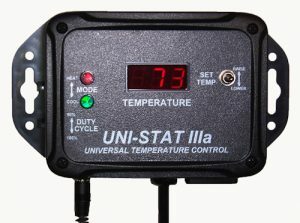 With the WINE-STAT II control, the third chart recording of the actual WINE temperature, it can be seen that the WINE-STAT II maintains the selected wine storage temperature resting comfortably within 1°.